Video cameras' resolution war has already started. So has the frames-per-second race. Current DSLRs shoot high resolution stills and lower resolution video. 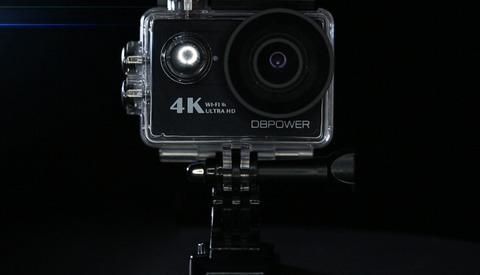 What if you can have an 8K video camera that captures both raw stills and raw video in 8K? Would you replace your stills camera with it? Vincent Laforet is known for his achievements as a photojournalist, as well as a director and DP of many high-end commercials. He's known to many of us for his brave use of the video capabilities of the first models of the Canon 5D mark II. Today he's mostly using cameras most of us can't afford to own, but it's interesting to hear his thoughts on the video cameras resolution. Many of us can't appreciate the beauty of the 8K still or video image on our screens. We always look at scaled down versions of these. However, high resolution has its benefits for print and post production that Laforet emphasizes the most. He states his 8K RED Weapon is his current go-to choice for a device that records 36 megapixel raw stills and video. This way he doesn't have to carry around multiple cameras. The ability of the RED to capture 60 fps at that resolution is also a feature that he finds impressive and useful. He's not shy about the fact it's a very expensive machine, but for a reason. How do you find his opinion? Can an 8K RED Weapon or any other 8K cinema camera in the future replace the current still cameras? Can you, as photographers, do your job with it if money was not an issue? 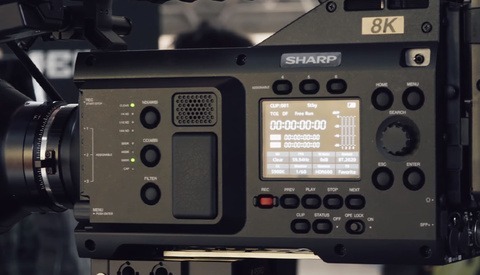 The Sharp 8k Camcorder: The Future of Broadcast? If you can afford it... why not? It's a really expensive tool. Like other really expensive tools, there will be people who can afford it and swear by it, and those who can't and make up excuses why they don't use it or it's not worth it. Is it worth it? Well... apparently someone thinks so, and good for them for feeling that way. Like all things photo (technology) related, starts of ridiculously expensive and we all question whether it's worth it, then storage costs drop through the floor, someone throws one on a phone, it's tech gets put in cameras that cost less than $500 and it's ubiquitous. To quote the Budweiser campaign of the 90's, why ask why? They real question is why not? And what's next? 16k video? 32k video? Virtual wall tv's with resolution so deep and real that you feel like you are there? It's a more complicated issue. Can you pull usable stills? Of course. But if you're pulling say action shots from indoors or at night, you better have 20k worth of constant lights with power and a couple grips to set them up. 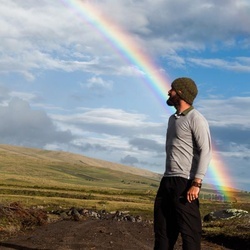 Or....bring a dslr with a flash. I don't see how a Red Helium rig would be more agile than a guy with a 70-200 and a flash in that instance. It always goes back to the saying, the best tool for the job. Situations vary and so should equipment when possible. I have the same concerns about that tool. No way (or at least I'm not aware of such) to trigger a strobe from the RED unless you shoot 2 second videos and press the "Test" button on a wireless trigger. You should leave here one frame (1 raw) file from camera and everyone will see difference in quality of this and DSLR file. He is right, it's huge difference to capture right moment and use it as still which is in 90% cases enough. There is other videos on internet about this and still no one using camera files as still's for 99% their projects. In practice all this is little tricky to get... what if just that right frame is out of focus, how was a light, I could do better, etc etc.. Can be used for sure but... time will tell. As far as I understand the RED can capture stills as single frames too, not just videos to grab a frame from. My only issue (apart from the price) is the inability to use strobes with still frames. Olympus OM-D M1-II already has something similar (ProCapture mode) to what is described in this video as a game changer. It buffers the last 14 RAW frames until you press the shutter ("goes back in time"). This feature should be easy to implement in other stills cameras as long as they have enough bandwidth and buffer memory. 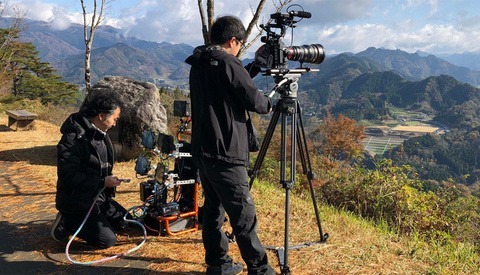 Regarding the use case of capturing video to later extract a RAW still frame, one possible issue is the image quality, as there is usually inter/intra frame compression in most video codecs. It's a raw video file where every single frame is a raw image. Also this camera can capture still frames too, not only video footage. Does anyone know if photoshop or even capture one is able to open the RAW Red Files ? Red Cine-X (their software) Allows you to make similar changes to R3D files as Lightroom (also ISO in post), you then export the still(s) you want from cine-x to 16bit TIFF files for photoshop, or whatever other post production software you want. You would only use constant light sources, not strobes. I rented a Red weapon 8K to try this very thing. The problem of trying to shoot stills of a group of 9 people all doing different tasks for one photo is a monumental undertaking. I found it didnt work if what you wanted was a 100% sharp image... There was always a small amount of motion blur from anyone moving at a moderate amount of motion. We tried everything but couldnt get it right with added flashes eighther.. Finally gave up and went with the old way of doing things. Thanks for sharing that info. I thought there was a dedicated button to take a still photograph. At least on Canon cinema cameras you can set a button for that function. Appologies!... There is a still button, however I was attempting to "film" a photo shoot of a group and pluck a still from 60fps of everyone with open eyes...hair out of faces...all in focus...ect.. Thats when I encountered the one frame "bleads" to another conundrum. Hope this clarifies. As a still platform it performs very well. I however really do like the 35mp video... The down side is 400gb to compile for 15ish minutes of video... Better have the latest and greatest of editing machines or it could take days to edit. Just my experience... I will keep my still camera and leave the video to everyone who prefers moving pictures. Yes, it's kind of overkill right now until it's a common thing to have 200TB internal disks on laptops. Thanks for clarification too. I hope the readers will find it helpful. My issue with this is that the selecting of still frames from the video footage could end up being more time consuming than simply shooting photos. There is a dedicated button for shooting stills.